Quizbowl team members won their first tournament of the year on Sept. 22. On Saturday, Sept. 22, RM’s Quiz Bowl team attended its first tournament of the year at Johns Hopkins University. This tournament was targeted specifically at novices who had only one year of Quiz Bowl experience under their belts. RM placed first overall out of 36 teams. Another area Chu hopes to work on in the future is a better team composition. Since Quiz Bowl relies on each person becoming an expert in a certain knowledge area, a good team needs to have members who are well-versed in a variety of topics. 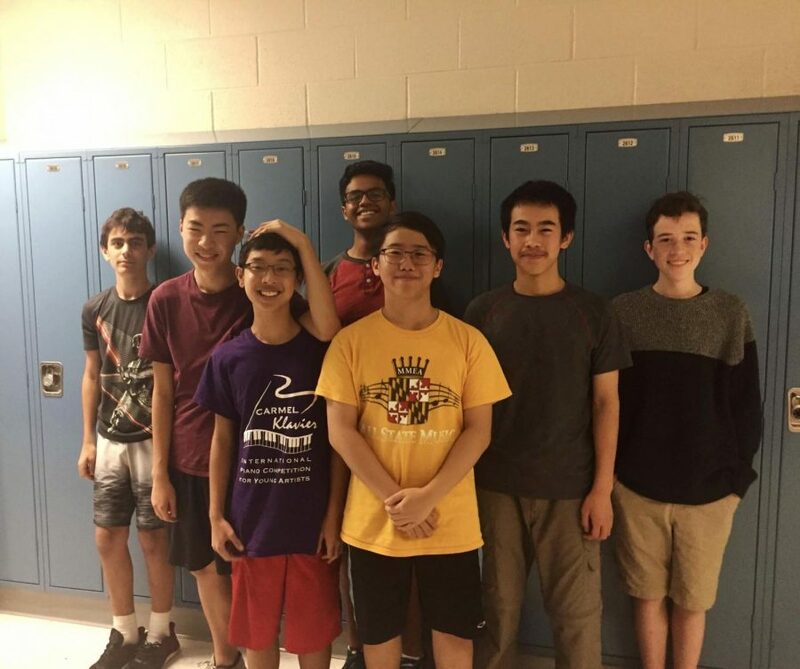 “Our Quiz Bowl team favors some subjects much heavily than others, but to be nationally competitive we have to shore up our weaker subjects,” Chu said. Quiz Bowl is a competition where teams of four compete head-to-head in a fast-paced, buzzer-style tournament. The toss-up and bonus questions the teams have to answer range from a variety of different subjects, including but not limited to “history, literature, science, fine arts, current events, popular culture, and sports,” according to the official Quiz Bowl website. Toss-up questions are answered individually and range from difficult to easy, and correct answers to these questions allow the team to collaborate on a three-part bonus question. Teams attempt to answer both toss-up and bonus questions to earn points, and the team with the most points at the end wins. These games usually have around 20 questions and can take up to 30 minutes.